…for a real-time update! Now, as you may or may not realise, my blog entries are not contemporary with the visits they describe, indeed I am currently running about four months behind. And you might well have noticed that there has been a worryingly long break which may have led you to conclude that the bandits of the Bodh Gaya region had ensnared me. But no, I have instead been having fun of a quite different kind. 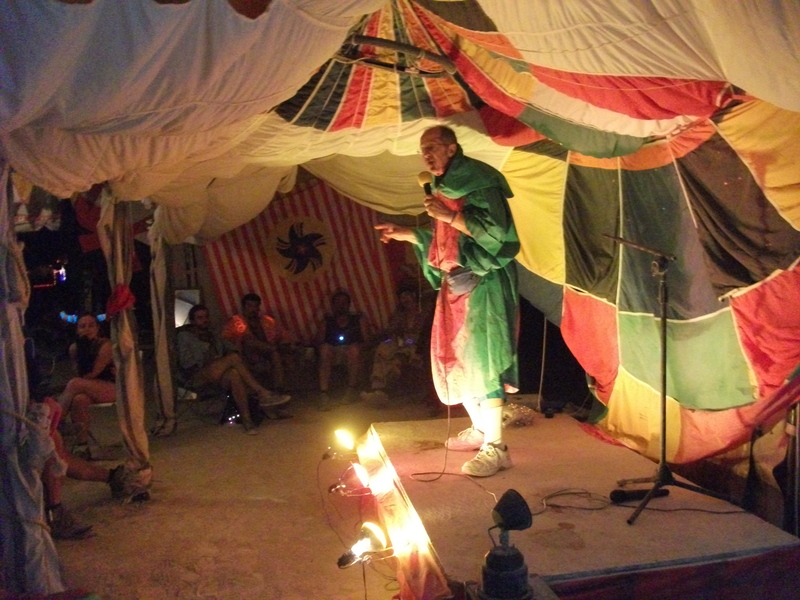 I returned from my five months in Asia in late June to spend ten days in London before setting off on the ferry to Bilbao en route for the Nowhere festival in Spain, where this year my volunteer contribution was to co-manage the ice sales. After a fortnight away I then had a week’s turnaround at home (unpack, launder, repack) before flying the USA where I have been ever since. 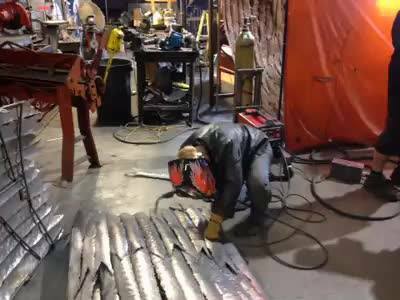 The first month was spent volunteering with the Flaming Lotus Girls, a San Francisco based art collective who create large metal fire-spouting installations for Burning Man and beyond. I had a wonderful time, working hard but learning a whole bunch of new skills, the most exciting being MIG welding, something I have always wanted to get to grips with. 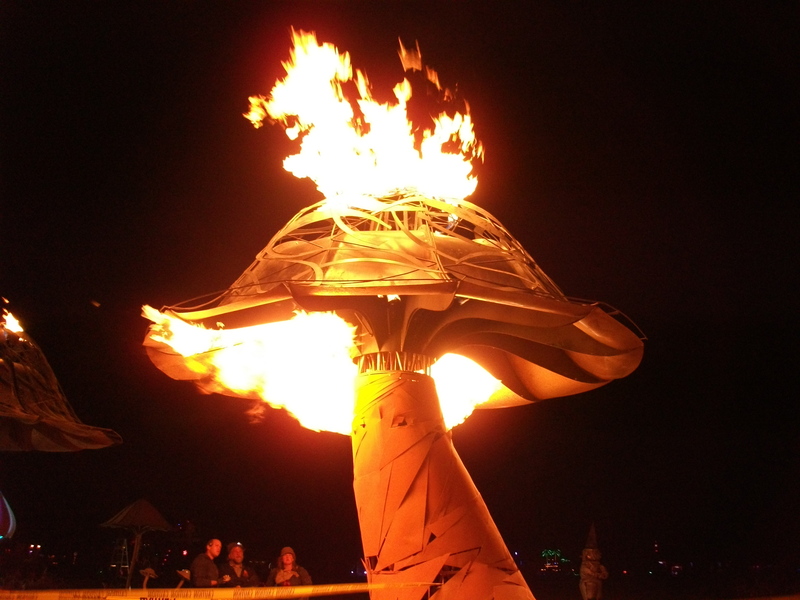 Our piece, Xylophage, is a huge flaming metal tree stump, surrounded by mushrooms. 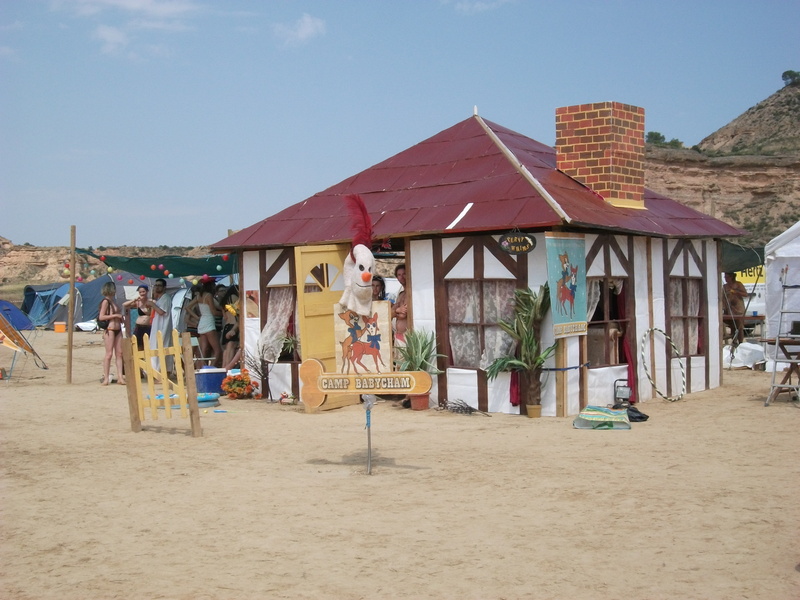 Having helped build and send it to the desert, I followed it out to Burning Man with my usual theme camp, Quixote’s Cabaret Club and Bar, although this year we were more bar than cabaret. I’m currently relaxing in San Francisco before returning to the UK to look for work – this is the end of my very extended gap year. But I will continue blogging the World Heritage Sites I have visited and who knows, by the time I get to the end of those, I may have visited a few more. 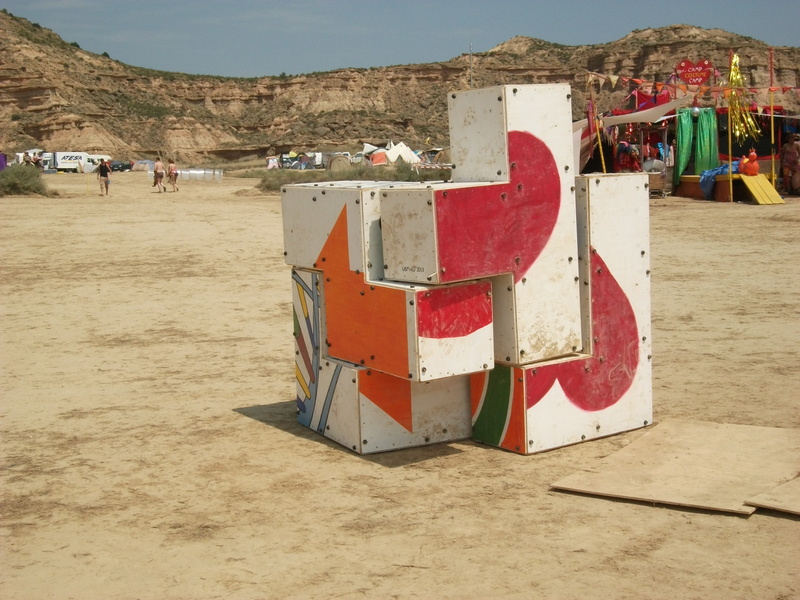 This entry was posted in Musings and tagged festival. Bookmark the permalink.